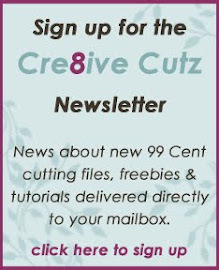 Cre8ive Cutz - 3D SVG Cutting Files for Electronic Cutting Machines: Are you a Digital Scrapbooker? Some of you may already know, but I've been a digital scrapbooker for many years, and have been designing digiscrapping products, teaching classes and creating instructional videos under the name Red Leaf DigiScrapping for many of those years. In fact, if you were really paying attention, you'd notice that my logo on this site is "Cre8ive Cutz by Red Leaf DigiScrapping". Rather than trying to keep up with two sites, which hasn't been working well lately, I've decided to bring together all my crafting onto this blog. So, for now I'm going to point you to a few things, but eventually I will get my videos and digiscrapping products moved over to this site.